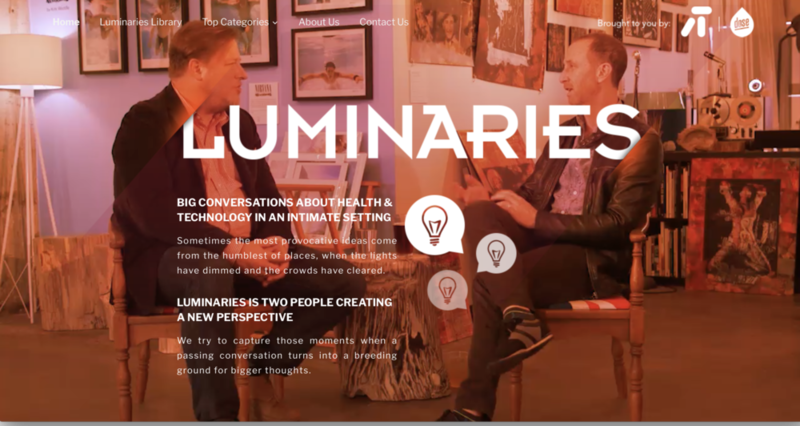 Dose and AbelsonTaylor bring together health-focused thought leaders in new series, Luminaries. The show's next stop is Cannes for the two-day Lions Health event. The agency's original series brings together a pair of forward thinking minds to discuss big ideas in the fields of health and technology. Watch the episodes at www.luminaries.health. After years of attending conferences and seeing presentations, it's inevitable you would seek a more dynamic conversation with enlightening speakers. Luminaries is intent on capturing all those interesting conversations you don’t see in traditional presentations. Together, Dose and AT aim to share these enlightening discussions with the health and technology communities. The most recent series, shot this spring at SXSW, featured Luminaries from Amazon, Alphabet’s Verily, and Johnson & Johnson Innovation. Inspiration for Luminaries came from Dose Executive Producer Mitch Apley and Senior Artist Joel Witmer. The two attended health hackathons and conferences, and afterwards would casually recap and discuss the new concepts shared at the events. Joel reflected, "You know what? That would make a great format for a show." After putting their concept to the test at SXSW, Apley summed up why this concept works so well: "There are some conversations where you witness the synthesis of new ideas as they develop between two individuals And when you see those moments, it’s magical – it’s fascinating." Dose Pictures and Rotimi Solola of SO dsgn recently joined forces to create a promotional video for the revolutionary new product - Alt Pen. 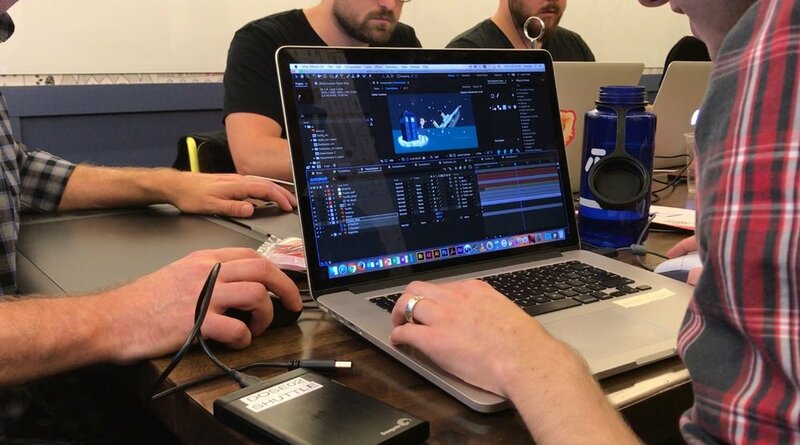 The launch video, produced and executed by Dose Pictures, taps into the modern and elegant features of Alt Pen. Dose Artists conveyed Alt Pen’s unique features and deliberate design through a minimalist visual style and elegant animation and lighting. Alt Pen’s Kickstarter goal is to raise $20,000 by Friday, July 6th. This Friday, join Dose and SO dsgn at the Launch Party for the campaign. MHUB Chicago and design convention, NeoCon, are hosting the event. 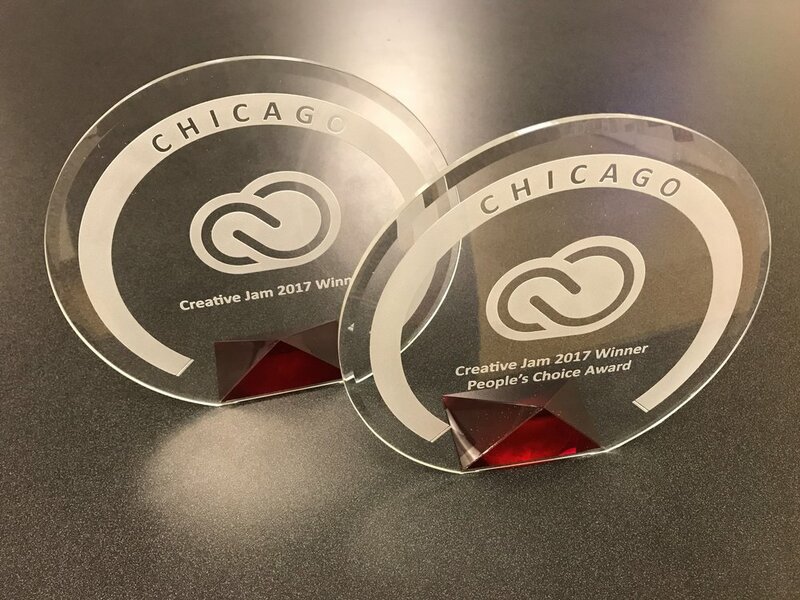 Dose Pictures participated in the Chicago Adobe Creative Jam event put on by @LizSchmidt! Creative Director, Dave Pasciuto was invited to speak about a motion design project that involved 2 Hemophilia Awareness videos with CSL Behring. The videos were designed in 2d, using Adobe Photoshop/Illustrator and animated in Adobe After Effects. The other 2 speakers were Mallory Ryan, from RADAR and Jeff Boddy from the Mill! Not to mention the judges, Jason White from LVTHN and Mark Butchko from Optimus! What at amazing lineup! The evening was super fun and filled with the tight community of motion designers from around Chicagoland, including Chris Schmidt from Greyscale Gorilla! As if that wasn't enough, there was also a motion design competition too! It involved 5 teams of 2 artists to create a video from the narrative, "not enough time." Very fitting. All of the teams were super talented and worked hard to create some really amazing work, especially with time constraints (3 hours). All of the entries are here! Below is the entry from Dose artists, Colin Craig and Chris Boyd, which ended up winning first place, which won awards! Thanks to everyone who came out, it was great to reconnect and meet new people! You made it special indeed. indeed it was! such a great community!